Turquoise to go with everything and anything. 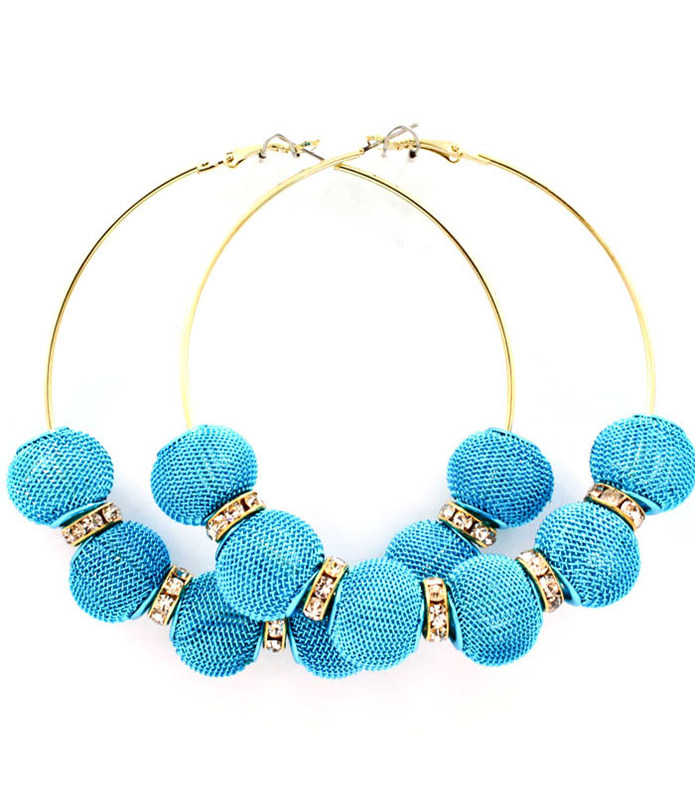 The Alexandra Earrings are a blast of turquoise mesh ball beads accented by crystal spacers on fine gold hoops. For a pop of colour that is too much fun. Buy this gorgeous pair of trendy earrings and add them to your collection of fashion accessories today.